TRANSVERSING - Acrylic paint on canvas 1200 x 1200 mm. I am a painter and multi-media artist. 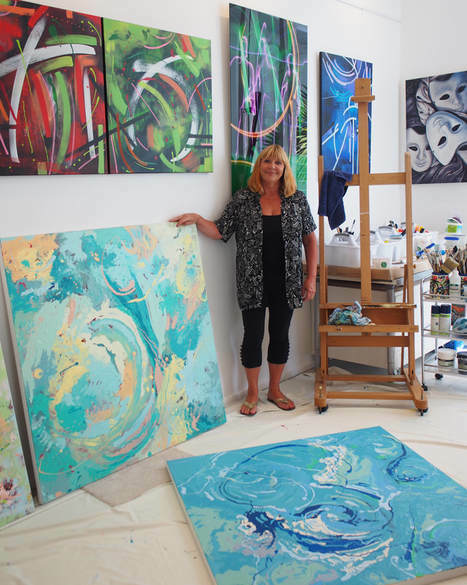 ​My current paintings are large, energetic and visually powerful. ​I am a graduate of both Elam School of Fine Arts (Dip FA) and Whitecliffe College of Arts and Design (MFA 1st class Hons). I am also a qualified high school teacher (DipTchg). As you are on my website and reading this, you might be interested to know my story: where I have come from, where I am now, how I got here, and why I made the move.